She was running after me as fast as her little legs would carry her. She ran and she ran, but she was old and tired. She couldn’t keep up with me as the airplane carried me away. She faded into the distance, a tiny animal swallowed by the blackness of my mind. I don’t know if she couldn’t catch up, or simply gave up, but I think it was the latter. I had abandoned her, betrayed her, when she needed me most. 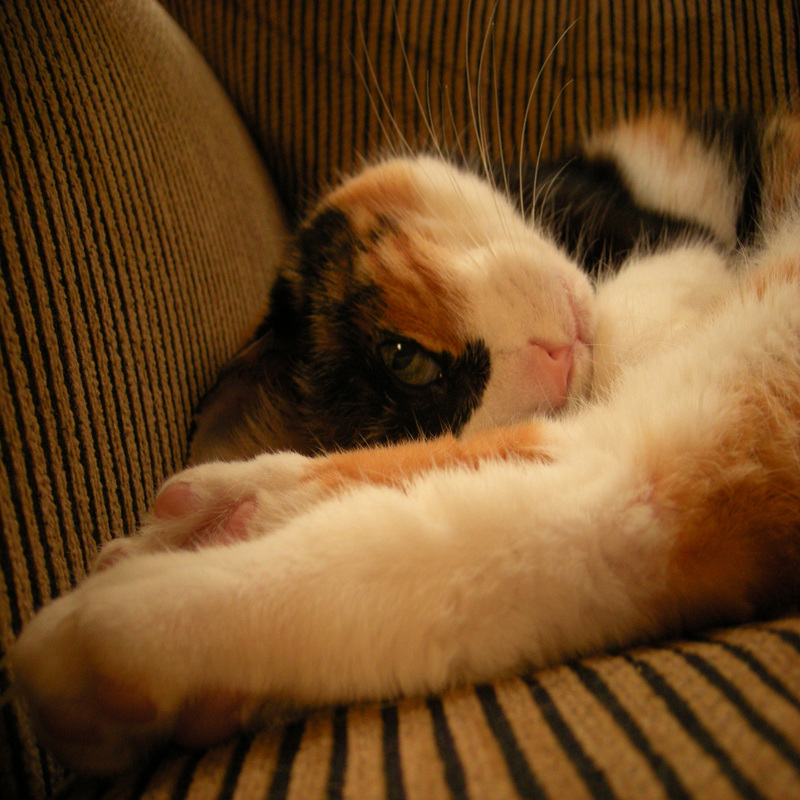 She was Turtle, an opinionated and stubborn 16 year old calico cat. Feral born, I found her in the parking lot of a liquor store, and over the years formed a closer bond with her than any other pet, or any human. So why was I on an airplane, traveling further than ever before – literally to the ends of the earth? Because I had a dream, a goal, for which I’d been striving for years, to set foot on Antarctica. I can’t explain my need to travel to the most remote locations I can, nor is this the time or place. This is about Turtle, or rather my guilt at leaving her to die without me. I’d been with every previous pet when he or she passed away, and now I was going to miss seeing the one I loved the most off to her next journey. Granted, this was a colossal case of bad timing on my part, nor did I believe it would come to this. When she was diagnosed with kidney failure in August, I thought she would go quickly within a month or so like Indy ten years earlier. But kidneys are unpredictable, and cats with little kidney function can stabilize for months. She did. So I set aside my fear and prepared for my dream trip of a lifetime. After all, she would be in the good hands of neighbors Chris & Myssi, both of whom work as veterinary technicians. Then came November 7th, around 1 a.m. I needed to leave the house no later than 5 a.m., and was scrambling to get ready, and maybe catch a couple hours of sleep. But Turtle – probably stressed at the sight of me packing a suitcase yet again – started vomiting and showing signs of distress. There was not enough time to take her to the emergency vet and, admittedly, I did not want her to die in a strange place. So I did the only thing I could think of. I zipped the suitcases shut, and held her for the last four hours. And then I said goodbye to her (3 or 4 or 5 times) before rushing to the airport in tears. When I saw her in that mind’s eye image, chasing after me, I knew I would never see her again. I cried in the airport; I cried on the airplane; I cried in my cabin every night aboard the boat. I’d left instructions with the vet and neighbors as to what to do should Turtle die, so I knew her ashes would be awaiting me when I returned. But that didn’t make my emotional pain any more bearable. That didn’t lessen my guilt nor make my selfishness any less real. Non-pet owners probably don’t understand this, and maybe even some pet owners. But I take seriously my commitment – my promise – to any pet I bring into my home. It is life long. I owe them a good life. I owe them a peaceful death. A death with their human at their side to say goodbye one last time. With Turtle, I had failed. I’d broken my promise and that was probably the most painful realization. So I did the only thing I could. I’m a writer. I decided to work through my guilt, to “heal through horror,” as I decided to label it. I’d taken a notebook and an idea with me on the trip, not knowing exactly what I would do with it. A dark fantasy/horror piece I titled “The Fisherman’s Wife” about a woman named Kima and her revenge against the men who murdered her magician husband. In their culture, magic is found in the hands, so his murderers had cut off his fingers and divided them amongst themselves. Kima’s mission was to recover her husband’s fingers, thus to restore his magic and kill his enemies. I decided to give Kima a dog. A big dog named Oolee who, despite having been injured and left for dead in the original attack, will follow Kima on her mission. (A cat would have been impractical.) I decided to give Kima a similar gut-wrenching decision. Stay or go? The fate of Kima and Oolee is found in their story. My fate: still to be written. I am happy to report that she survived my month-long absence. I can’t express enough gratitude to Chris & Myssi for nursing her back to stabilization, praying for her survival. Even as a writer, I can’t find words to describe my astonishment at finding her curled up underneath the desk where I now sit. She growled at me for a moment, then melted into my arms, purring. We had another month together. And then, in a bookend image to that early morning back in November, I sat, holding her, telling her it was okay to let go, as she slipped away to heaven. How will Kima and Oolee say goodbye? ← San Diego’s Comic Con: A Celebration of Glorious Weirdness!